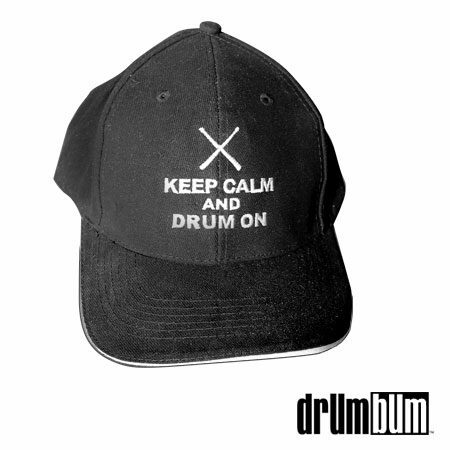 Keep Calm and Drum On Hat – This exclusive drums hat is sure to be loved by drummers everywhere! The stylish baseball styled hat features the popular “Keep Calm and…” phrase. The logo is embroidered in white which provides a stark contrast to the black background of the hat making it stand out for everyone to notice. Show off to the world that you love to play drums with this awesome cap! Available in black. High quality cap with exquisite white embroidery. One size fits all. Check out our “Keep Calm” T-shirts.